The new database and research, published in the March 16 Proceedings of the National Academy of Sciences, gives humans a better chance to learn if we are not alone. "This database gives us the first glimpse at what diverse worlds out there could look like. We looked at a broad set of life forms, including some from the most extreme parts of Earth," says Lisa Kaltenegger, professor of astronomy and director of Cornell University's new Institute for Pale Blue Dots, which studies extrasolar planets and models habitable rocky exoplanets (planets not in our solar system). The institute hosts the new database that other researchers freely can use. "Much of the history of life on Earth has been dominated by microbial life," the scientists explain in the paper. "It is likely that life on exoplanets evolves through single-celled stages prior to multicellular creatures. Here, we present the first database for a diverse range of life -- including extremophiles (organisms living in extreme conditions) found in the most inhospitable environments on Earth -- for such surface features in preparation for the next generation of telescopes that will search for a wide variety of life on exoplanets." To spot the tint of Earth, alien astronomers from Andromeda might measure light shimmering off the surface of a planet, as sunlight reflected from our planet's vegetation reaches their telescopes. Conversely, astronomers here can see pigmentation on exoplanets and determine their makeup by looking at their color. "On Earth these are just niche environments, but on other worlds, these life forms might just have the right make to dominate, and now we have a database to know how we could spot that," said Kaltenegger. "Our results show the amazing diversity of life that one can detect remotely on exoplanets," said Hegde, one of Kaltenegger's former doctoral students and an incoming Cornell research associate. 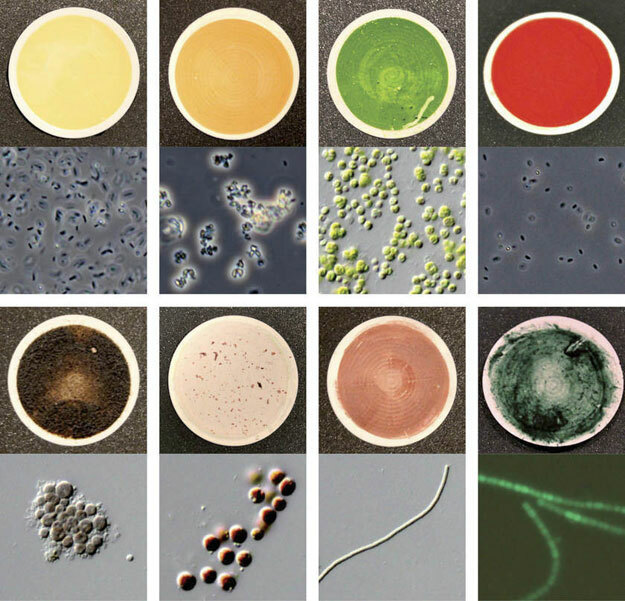 "We explore for the first time the reflection signatures of a diversity of pigmented microorganisms isolated from various environments on Earth -- including extreme ones -- which will provide a more broad guide, based on Earth life, for the search for surface features of extraterrestrial life."